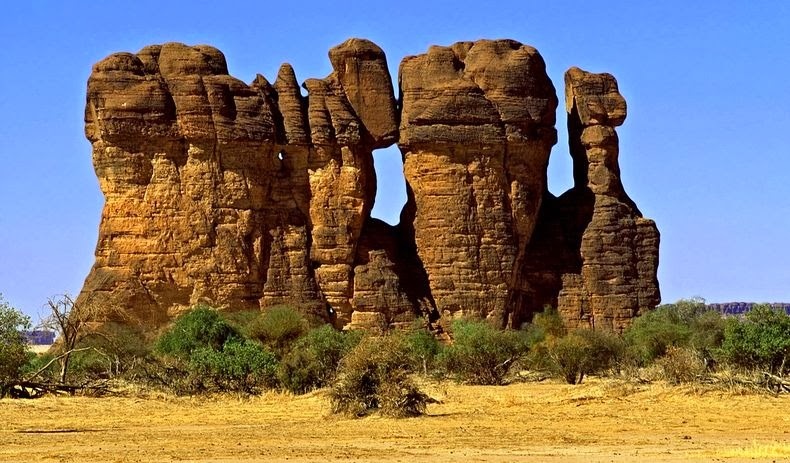 The Ennedi plateau or the Ennedi desert as it is sometimes called is located in the north-eastern area of Chad in one of the most inaccessible region in the middle of the Sahara. 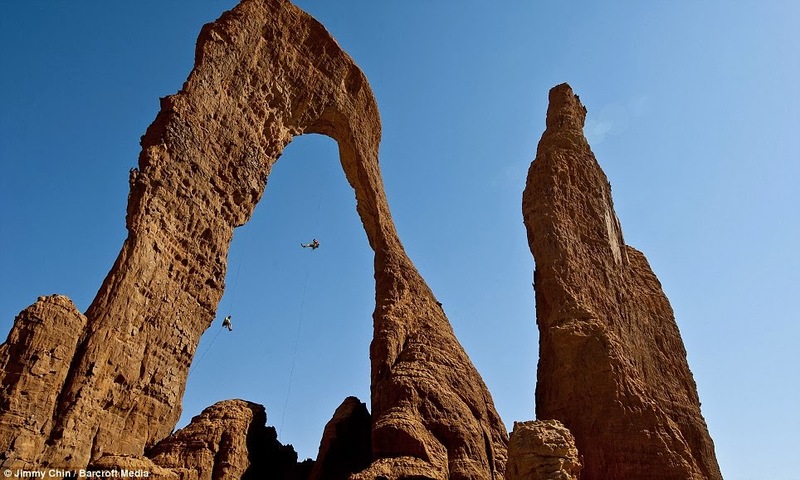 The region is full of interesting sandstone formations - graceful fingers of rock and many hundreds of natural arches, including the great Aloba arch, which has a height of nearly 120 meters and is one of the most spectacular arches in the world. In addition to the geology, petroglyphs or rock paintings are found in this place. 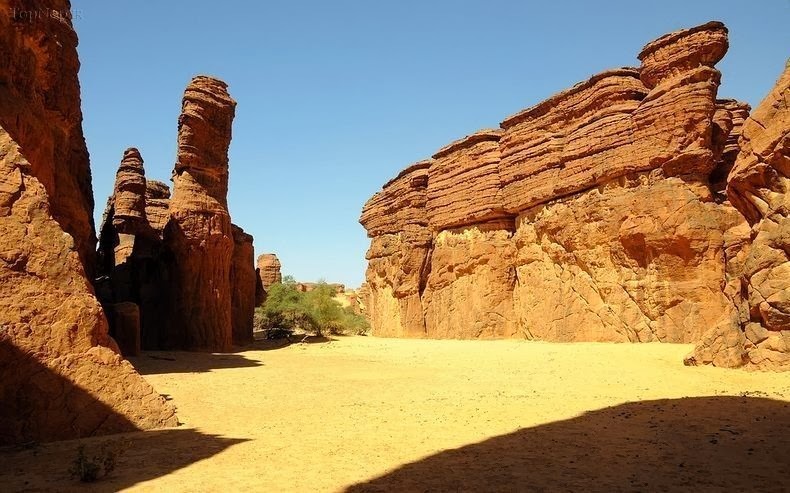 Travel to this area is difficult and dangerous due to the country's poverty, lack of tourist facilities, political unrest, and highway banditry. But this time, the area is accessible by 4x4 vehicles though there are no regular roads in the area. 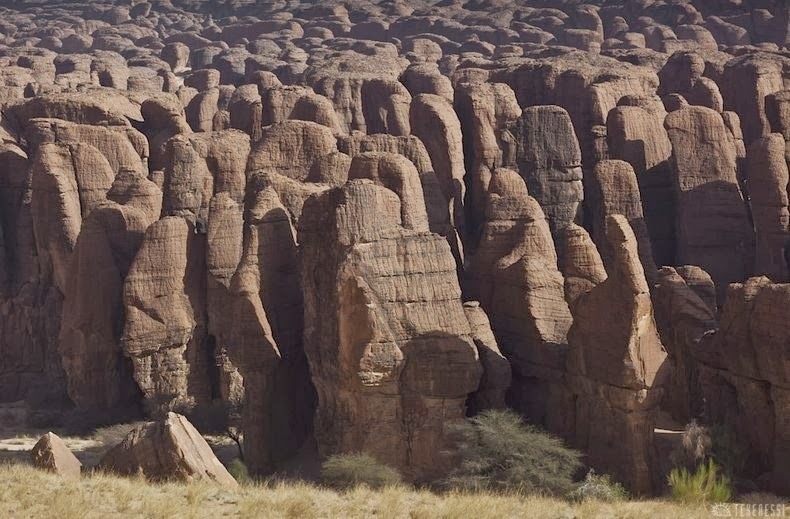 In 2012, a team led by climber Mark Synnott, Alex Honnold, James Pearson, Tim Kepler, and Renan Ozturk become the first mountaineers to conquer the rock formations in a remote desert area of Africa.